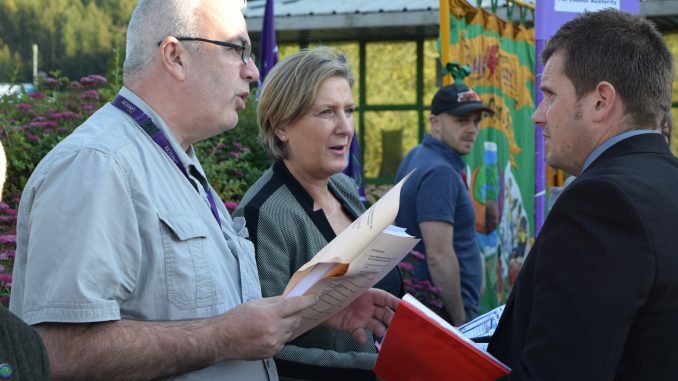 UNISON has congratulated Rhondda Cynon Taf council for becoming the latest local authority to condemn the secret Transatlantic Trade and Investment Partnership (TTIP) that is being negotiated between the US and EU. The south Wales authority passed a motion put forward by Labour councillers last night, condemning TTIP as a threat to the provision of local services in Wales. UNISON RCT branch secretary Peter Crews commented: “Well done to the local Labour councillors. He warned that the agreement, which is being hammered out behind closed doors by EU and US negotiators, increases corporate power at the expense of ordinary people and elected political representatives, undermining the concept of devolution in Wales. TTIP would mean that a council could not insist on fair-wage clauses in its contracts and neither could it ensure there are reasonable environmental protections, said the union. In particular, the so-called ‘investor-state dispute settlement’ (ISDS) procedure would give secretive arbitration panels the power to overrule the UK court system, which UNISON says could undermine health and safety standards. A number of local councils across the UK have passed motions condemning TTIP, including Cardiff, Flintshire, Lancashire, Brighton and Oxford. UNISON is working with Global Justice Now to encourage other councils to speak out against the deal.